As the year rolls to an end, we invite you to make a 2011 contribution to the Pope County Historical Society’s roof fund. Since announcing the fund drive in October we have received $60,000 toward our goal of $160,000 to repair damage sustained in a late summer storm. Write your check today and drop it in the mail to the Pope County Historical Society, 809 South Lakeshore Drive, Glenwood, MN 56334. Keep a solid roof on our heritage! Roof damage and downed tree - August 1 storm. 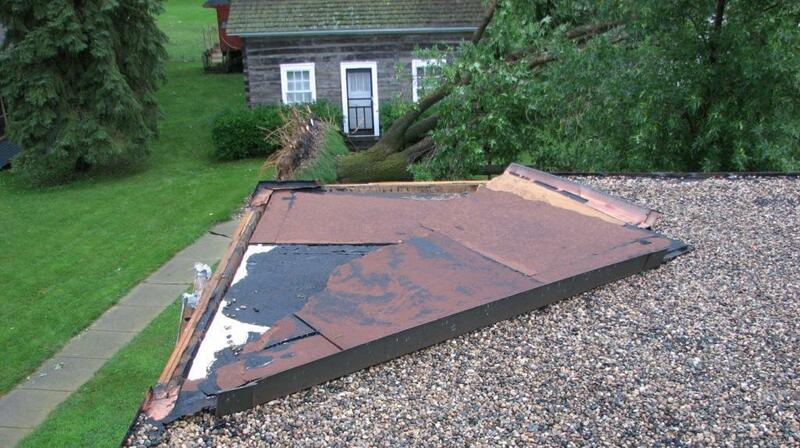 This entry was posted in Uncategorized and tagged year end; roof; storm; repair. Bookmark the permalink.